Drive-thru store on Ohio 95 reported a man took five bottles of alcohol. 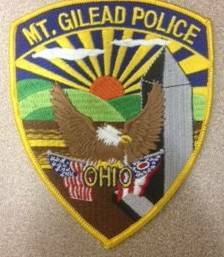 A motorist parked in a store parking lot on Ohio 95 was found in possession of a white crystal powder. The powder tested positive for methamphetamines. A caller reported receiving a text message from a man despite a no contact order. A vehicle struck the awning at First Federal Bank on North Main Street, then fled the scene. An Iberia Street resident reported dental wear was stolen out of a plastic bag in her mailbox. A woman was cited for transfer of registration, possession of drug paraphernalia and possession of drug abuse instruments. Officers attempted to contact the owner of an abandoned vehicle on County Road 170. The vehicle was blocking a driveway and was towed. A man was arguing with a relative at a South Delaware Street residence. He was advised to compose himself. He then left the scene. Officer found water leaking into the roadway on North Delaware Street. The lek was a water main break. The village water department was notified. Cats and rabbits were found in an abandoned house on South Rich Street. The Humane Society was contacted and sent someone to the scene. Driver was traveling through parking lot on Park Avenue and was struck by another vehicle. A resident of Baker Street reported someone struck the side of his vehicle overnight. A motorist traveling on Westview Drive slowed to turn into a driveway. A second vehicle struck it causing damage to both units. Officer assisted a Morrow County Sheriff’s deputy with a domestic call. The man had left the scene.